The anti-immigrant policies of the Trump Administration are yielding unintended consequences for one of the United States’ biggest industries: higher education. It used to be that the best and the brightest in Europe, Asia and the Middle East flocked to top American undergraduate and graduate programs. Several universities have foreign enrollments as high as 30 percent including Florida Institute of Technology, according to U.S. News and World Report. Some universities with top graduate programs including Carnegie Mellon and Brandeis draw 20 percent or more of the student bodies from outside the U.S. But since Trump & Co. started fanning the flames of nationalism, international students feel increasingly unwelcome. Since 2017, business school applications have fallen, with about 10,000 fewer people applying to U.S. graduate business programs …. international students, according to multiple sources, including a recent report by the Graduate Management Admission Council. At the same time, English-language master’s degree programs in Europe have gone from 725 in 2001 to more than 8,000 in 2014, according to the ICEF Monitor industry intelligence website. English undergraduate degree programs in Europe went from basically none in 2009 to nearly 3,000 for 2017. Almost every major university across Europe from Spain to Finland offers master’s level programs in English. The U.S. educational system is also vulnerable because tuition is so expensive even at middlin’ schools. The benchmark: The average MBA in the US costs students $50,000 per year, or $100,000 for the full program. For the Top 30 programs including Harvard and Stanford, tuition is closer to $60,000 per year. Same for schools in the United Kingdom, with the London School of Business tuition at 62,500 pounds per year. My daughter Lale was considering the University of Nebraska for her bachelor’s degree because her friend’s mother was a professor there (NOT a great reason), but the out-of-state tuition was going to be $24,187 for a full year not including housing and expenses. By comparison, Norway offers free educations for all – home fries and foreign students. France has been the lone holdout in Europe, with few French universities offering programs in English in an effort to preserve French culture. But even that is about to change. In mid-November, Reuters reported Prime Minister Edouard Philippe announced a plan to boost the number of foreign students studying in France by 50 percent. That plan includes increasing the number of courses taught in English, which have increased to more than 1,300 from about 300 in 2014. • The college experience in Europe is far different than in the U.S., with undergrad degrees taking only three years. Students are pushed harder and many universities have problem-based learning programs, with five periods per year. Each period is eight weeks, and there are three classes per period. In that accelerated pace, students move in and out of cohorts quickly, so it can be more difficult to make friends. Also, Europeans – though not international school grads – tend to stay close to friends from the towns and cities where they grew up. • Obviously, all universities have limited capacities, and they all seem to have different rules for foreign students. 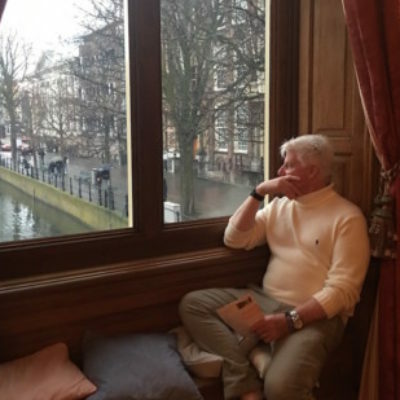 For example, our daughters were able to get into Dutch schools based on their high school grades and course types as well as on a lengthy application process including interviews. Students coming out of international schools with International Baccalaureate degrees, such as our daughter Lale, seem to go to the front of the line almost everywhere. • A lot of countries want foreign students because they (well, their parents) pay tuition – generally 5,000 euros to about 24,000 euros per year depending on the country. Some EU citizens don’t pay tuition at all or much less than non-EU students, so international students basically help subsidize university educations for locals. • With aging populations, some countries such as the Netherlands, Germany and Norway seek foreign students in hopes of capturing talent for future economic growth. For example, about 50 percent of foreign students at Technical University of Eindhoven, a highly rated engineering school, remain after graduation to work for Dutch companies. There are about 400,000 international students in Germany, a number that’s grown exponentially since 2000. So not surprisingly, our contributors have written a lot of posts about the benefits of going to university in Germany. The Hertie School of Governance is a small, international private school and is one of the more expensive universities in the country. For me and my fellow Americans, however, choosing to undergo our graduate degrees in Berlin has been a steal compared to studying in the United States. Students from more than 40 countries study at Hertie, here in the heart of Berlin, pursuing Master’s degrees either in Public Policy or International Affairs. For the most part, graduate programs in Germany are extremely inexpensive by American standards, usually running less than $5,000 per year. Hertie is more pricey, costing about $15,000 per year. One of the biggest draws for studying at public universities in Germany is that tuition is essentially free. This even goes for foreigners. For instance, one semester at Freie Universität in Berlin costs 312 euros in administrative fees. And the fees include a heavily subsidized transportation pass for the duration of the semester, along with other services. • Research schools in Berlin such as Humboldt University, Freie Universität, and Technische Universität Berlin, all have great reputations locally and internationally, particularly in engineering and the sciences. Graduate tuition varies according to study tract. • The University of Heidelberg has a number of courses in English. Fees and tuition (not including housing) for international students are 1,652 euros per year. You can start the Heidelberg application process here. TU Munich stands out simply because Munich is one of the great engineering centers in Europe. This is a tough school, more difficult than, say, Purdue in the U.S. But TUM has summer schools for international students interested in obtaining a master’s degree. These programs are designed to give students a taste of what it is like to study at TUM and offer a wide range of courses and events, including German-language courses, subject-specific courses and cultural activities. Visits to internationally recognized, German high-tech companies represent a highlight of the program … but this whole concept is undergoing review. So watch the TUM website. There is no tuition, but fees at TUM are 129 euros each semester. So start saving! • Tilburg University has some of the most highly rated programs in Europe. Times Higher Education has Tilburg’s business and economics ranked at No. 28 in the world, just slightly below Carnegie Mellon. US News & World Report has the program ranked No. 6 in the world. Other strong programs are law and psychology. You can see all the rankings here. Our daughter Lucy attended Tilburg and found it challenging … so challenging she didn’t make it through her liberal arts and sciences program, missing by .5 points. It wasn’t the workload as much as the methodology, which is much different from the U.S. Most of her grade was from tests, and lectures didn’t particularly help when it came to studying. Toward the end of her school year, she got direction from older students, who laughed when she told them she went to class. Also, professors were not responsive at all, which seems to be a thing in Europe. Tuition for foreign students: 14,500 euros for all (research) Master’s programs of TiSEM and 15,000 euros for the Master’s program Data Science. Tilburg is in a largish city with a bar street and lots of stuff for students. Where they differ is, Delft is stronger in next-gen programs while TU/e has the Flagship Program where students and professors work doing R&D with some of the most advanced high-tech companies in the world. Both TU/Delft and TU/e have big green campuses full of new buildings. Eindhoven is the larger city, but Delft has the canals and is more picturesque. We never thought about Norway as a destination for American expat students, but it probably is only second behind the Netherlands in the number of programs offered in English. And classes are free, free! Of course, most of the schools are highly selective, with only 5 percent of foreign applicants making it into the University of Oslo, for example. • The University of Oslo offers about 1,000 courses in English starting with masters programs. (All undergraduate classes are in Norwegian.) It’s the most highly ranked university in Norway by education ranking groups such as Times Higher Education. You can start the very detailed application project here. • The Norwegian University of Science and Technology has three masters programs in English – International Masters, Erasmus Masters and the Nordic Masters, where you study at two Nordic universities. • The Norwegian School of Economics. Nord University and other schools have masters programs in Europe. Switzerland has the MIT of Europe in ETH Zurich, the most highly ranked university in mainland Europe, and of course, Albert Einstein famously was first a student, then a professor here. Times Higher Education ranks ETH Zurich at No. 11 in the world, ahead of Johns Hopkins, Penn and Columbia. Unlike those private American schools, ETH Zurich is publicly funded and charges practically no tuition, with the total costs about 1,229 Swiss francs per year, or about 1,100 euros. Of course, this is Zurich, one of the most expensive cities in the world, so going to university here will not be inexpensive. 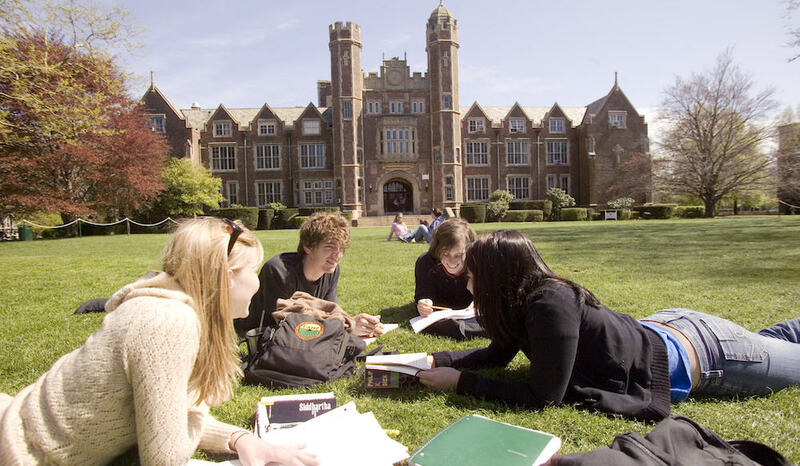 Like almost every major European university, it offers a number of master’s programs in English. Programs include architecture, biology, chemistry and physics. ETH Zurich has a total enrollment of 20,000 students from 120 countries. This is a highly selective school, though ETH Zurich takes a surprising number of qualified international students because apparently, many people can’t hack it and drop out. Ouch. The German Academic Exchange Service has info about options in Germany. StudyPortals matches up students to international universities. Beyond the States is a resource for American students considering university in Europe.